We’ve always maintained that skin’s needs should be assessed almost daily. 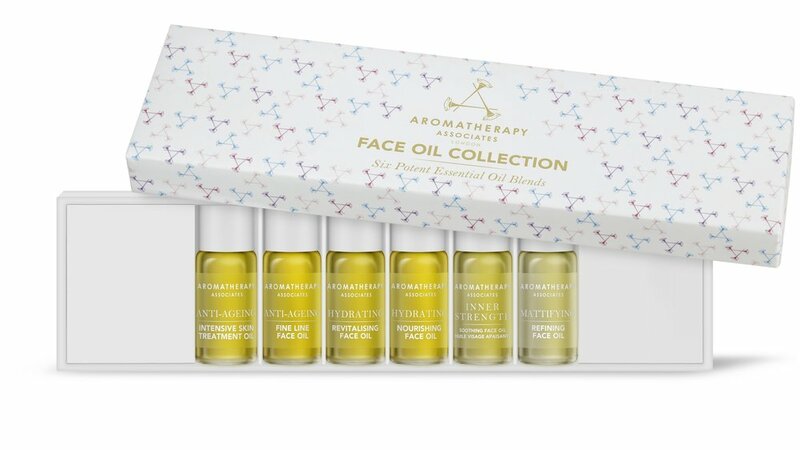 And this new Face Oil Collection from our beloved Aromatherapy Associates taps right into that. • Hydrating Revitalising Face Oil – a get-your-glow-on blend of frankincense and rose. • Inner Strength Soothing Face Oil – for times of skin flare-up and inflammation, with baobab seed oil. • Hydrating Nourishing Face Oil – rose and sandalwood, to soothe dry skin while boosting circulation. • Anti-Ageing Fine Line Face Oil – powered by antioxidant apple and raspberry seed oils, which also boost collagen production. • Anti-Ageing Intensive Skin Treatment Oil – rosehip, wheatgerm and vitamin E are anti-inflammatory/regenerative. So: just listen to your skin. And mix and match, as required/desired.